Welcome to our News & Events page! Here is where you will find the most recent and on-going activities for 2017 at Winterfrost Farm and Ride-A-Rescue. Please visit our Past News & Events page for archived updates! We are so proud of the amazing rescue horses from Ride-A-Rescue! This was the first time seeing the ocean for many of them, and they were all total champions! God has blessed us so much! We had a great time, all while helping make a difference for people in need! We had a great time joining Sinkland Farms again for their Annual Pumpkin Festival! 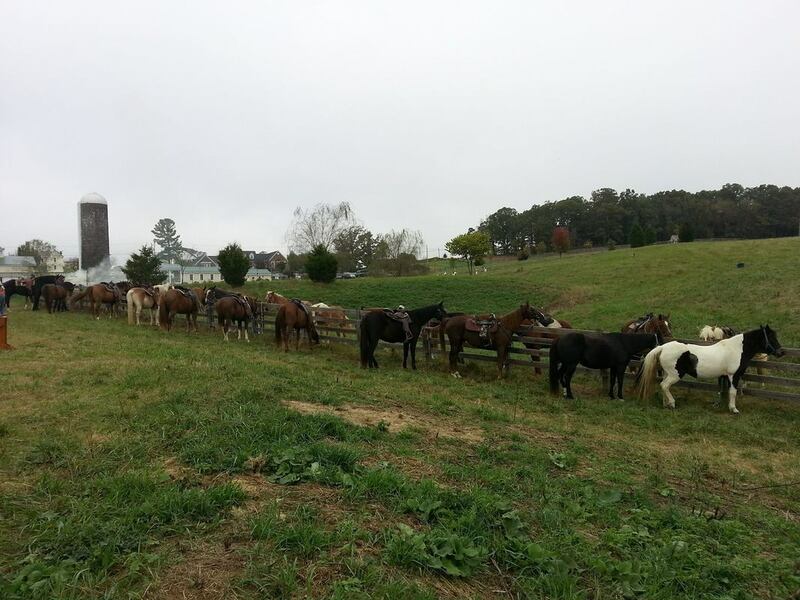 We brought 30+ horses to their farm for the month of October to offer trail rides through our Ride-A-Rescue program. Thank you to all our patrons who made donations, went for trail rides, and spread the word about our Ride-A-Rescue program. We hope to see you all out at the farm for more trail rides soon! We appreciate our wonderful volunteers, who spent their Saturdays and Sundays out at Sinkland Farms with us to help make this effort a reality! Thank you to everyone who came out to ride in our 4th annual Fall fun show! We had a great turn out, lots of fun, and are very proud of all our rescue horses who were ridden in the show! A special thank you to all of our wonderful volunteers who donated their time on a Saturday to help make this event fun and successful- we could not do it without you all! Last week we were blessed to be the Summer Quarter recipients by 100+ Women Who Care- NRV! We cannot express how thankful we are for this amazing donation. it is such a blessing and will allow us to make some much needed improvements. What an amazing group of women working so hard to make a difference in the NRV! He is officially healed from his surgery and gaining weight back gradually. Today Diesel will be introduced into the main herd at the barn. Please say a prayer that he adjusts well, and will fall into his new life as a gelding without too much commotion or pecking order arrangements! Please consider donating to his medical expenses! Diesel is one of the newest additions to our rescue that needed a phallectomy to survive! We have his surgery scheduled but we need your help raise $900- $1000 to help cover the cost of the surgery, medications, recovery care and start toward his nutritional improvement. The last year of life for Diesel and his previous owners has been very hard, life had thrown them many curve-balls and they were managing to stay at bat but this most recent curve ball (Diesel injuring himself) was a swing and a miss. Diesel's previous owners were not ready put him to sleep but they could not afford all the cost of his surgery to fix him. So they called us to see if we could help. Due to the nature of Diesel injury he needed a drastic surgery so he can continue to urinate. He will have a phallectomy and need to be castrated at the same time in hope to prevent him from injuring himself again. Surgery holds some high risks for this sweet boy due to his body condition and the degree of damage he inflicted upon himself...which is why we are asking for your help! Would you please consider donating to help Diesel!? No donation is too small, and every little bit helps!Without people like you, horses like Diesel would never have had a second chance! Many thanks to everyone that came out to help support Randy Tuck! little over $2800 to help our friend and farrier, Randy Tuck, who is currently out of work due to his injury. GREAT JOB EVERYONE!!! And thank you all so much for your love and support. Congratulations to Monica Longest for collecting the best poke hand and Lori Miller for collecting the worst poker hand!!! May God bless each and very one of you who showed your support for Randy Tuck!! YOUR DONATIONS ARE now TAX DEDUCTiBLE! Looking for a good place to make a tax write off? Please consider Ride-A-Rescue inc. a registered 501(c)3 non-profit. Every dollar goes toward helping a rescue horse find its new purpose in life! ​Ride-A-Rescue at NO COST TO YOU!!! For more info, click our amazonsmile button on the right. ​If you are an ebay seller or buyer you can register Ride-A-Rescue as your primary non-profit and Ebay will send your donation directly to Ride-A-Rescue along with all tax documentation that you might need. ​Offered d﻿ate: After purchase, the customer has from February 10th until February 18th to redeem their trail ride package. After February 18, 2017 coupon is only valid for its purchase price and may only used toward a trail ride with Ride-A-Rescue Inc. The coupon cannot be applied to any other specials or discounts with Ride-A-Rescue Inc.